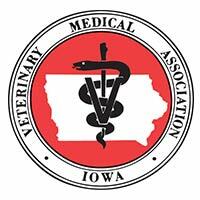 Iowa Veterinary Wellness Center offers laser therapy for our patients. 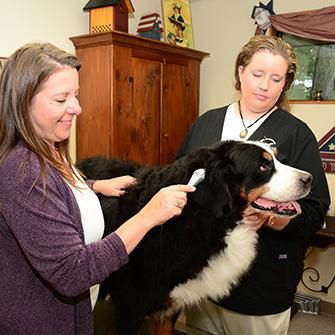 Laser therapy is the use of laser light to stimulate biological processes that lead to faster healing and pain relief. Lasers used for therapy use much less power than surgical lasers, and the beneficial effects come not from heat, but from the stimulation of the body’s natural healing processes. Like plants absorbing sunlight through photosynthesis, the cells in the body absorb laser energy. This stimulates the body to release its own pain relieving chemical compounds. Please call us for more information about our laser therapy services, or to schedule an appointment for a laser therapy consultation.